“The computer hardware issue has been fixed and our online services are up and running. Thanks for your patience,” the CRA said in a tweet post at 5.35 p.m. ET. On Monday morning, officials said they were looking into “technical issues” that shut down both the “My Account” and “My Business Account” log-in pages. “We’re working with Shared Services Canada and its partners to resolve this issue as quickly as possible. 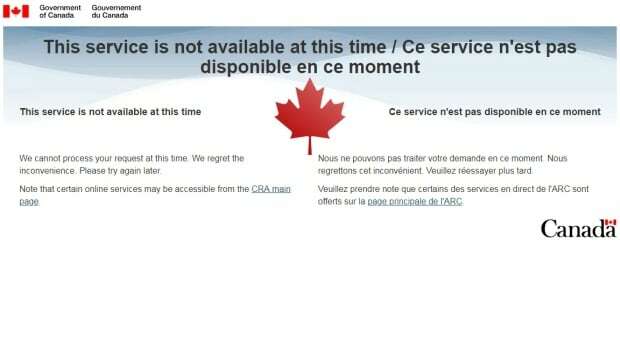 We will update Canadians when the problem is resolved,” CRA spokesperson Dany Morin told CBC News.